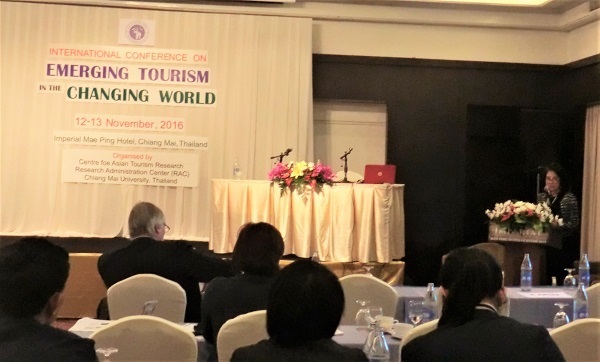 The research topic “Food Tourism Development Based on Sufficiency Economy Agriculture in Chom Chaeng Village: Conceptualizing Thai Cuisine with the Japanese Dietary” was the effort to advocate Thai cuisine for inscription in the UNESCO's intangible cultural heritage list as the Japanese "Washoku" was. 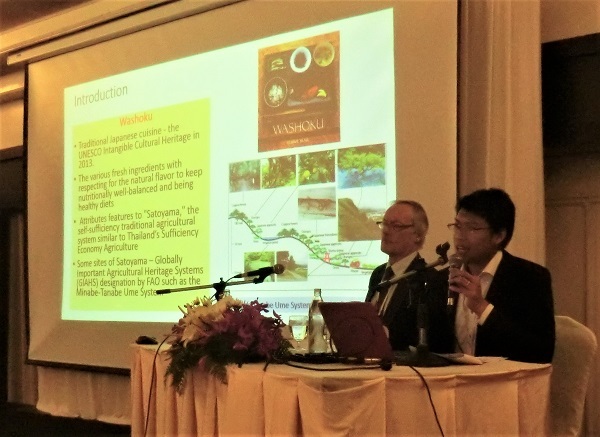 This study, therefore, conceptualized the characteristics of Thai cuisine from the successful case of Japanese dietary, which attributes features to "Satoyama," the traditional agricultural system maintaining the abundance of the ecosystem. Similar to the authentic Thai food is significantly generated from the system of Sufficiency Economy Agriculture (SEA), the traditional farming practice which respects in utilizing the natural resource and produces the safety and healthy food from different consumption of organic herbs and local vegetables. As such notions, not only in a case study of Chom Chaeng village, developing food tourism based on the SEA should be hugely promoted in other Thailand's rural tourism communities to characterize the authenticity of Thai cuisine globally.